Inspired by Nancy and entries from my old blog, I decided to revive my old blog series – the monthly photo dump! Monthly Photo Dumps are basically end-of-the-month entries where I dump photos that never get its own blog post or never make it to the ‘gram. They include little background stories and that’s about it. Years ago, I regularly made these posts to show what I’ve been up to the past month. So, photo dumps are making a comeback! 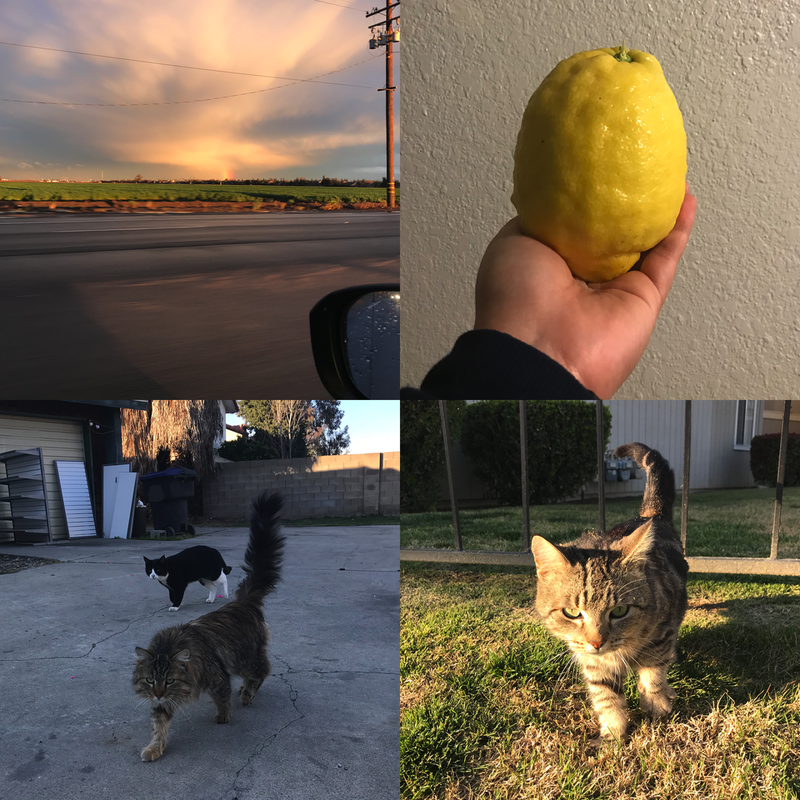 Seeing the sunset on my way to work / showing off a huge lemon that my friend, Abby, harvested from her garden / Chris & I made friends with some cute little kitties on our afternoon walk one day! 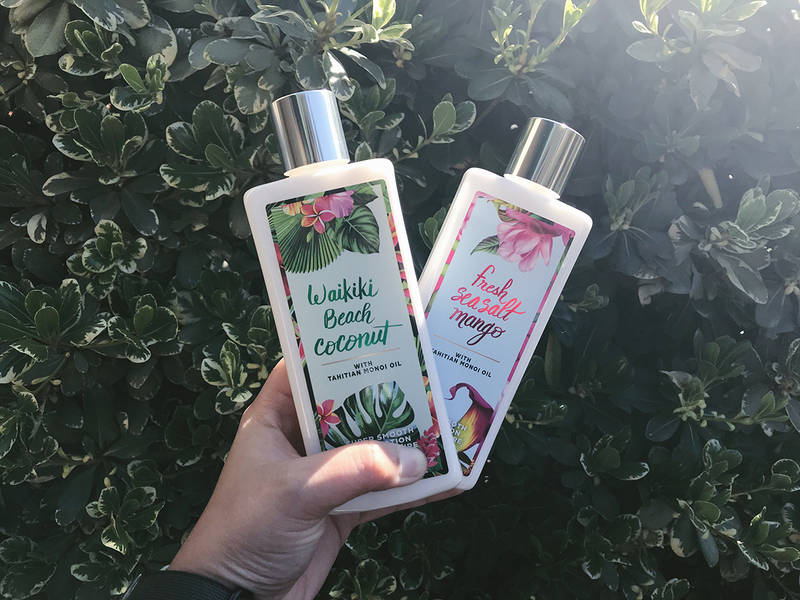 Finally got to stock up on my favorite Waikiki Beach Coconut scent (bought 4 bottles!) and decided to try out the Island Sea Salt Mango. I got lucky on these since Bath & Body Works had them on sale for $7 AND had the $10 off $30 coupon – kaching! After shopping, Chris and I had lunch at Red Robin since it was located conveniently right next to the store! I’m obsessed with notebooks and writing everything down. 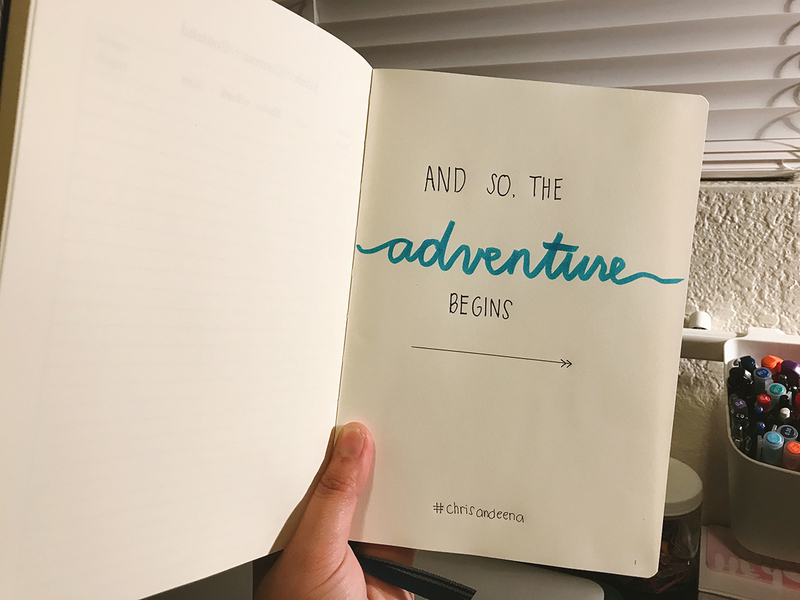 After reviving my old bullet journal, I made the decision to purchase a new notebook which I’ll be using for wedding planning (and maybe some doodles and what not… who knows where my mind takes me). I’m so excited to break into my new notebook! Chris and I stopped by Save Mart after we finished our laundry and decided that it was the perfect night for ice cream. He got his Ben & Jerry’s while I stumbled on the LAST container of green tea ice cream!! This is my absolute favorite ice cream flavor, next to cookie dough and cookies n cream but ahhh. That night, we had some homemade BBQ pulled chicken sandwich (made by yours truly), finished off with some ice cream. And yes, I have a new favorite hedge that has become so aesthetically pleasing that I’ve used it as a back drop for several photos. How do you like the photo dumps? Yay, nay? Should’ve kept it on the old blog? Let me know! In the meantime, let me know how your month of March went! Love love love all your photos! You have really great handwriting too. I always want to bullet journal but then I get lazy. It actually seems like a lot of work! Maybe it’s just me haha. Love the photos dumps AND your new hedge haha. I’m OBSESSED with everything green tea. I need that flavor in my life! And kitties… I make friends with ALL of the kitties. In Italy, I found one to stalk in every city we visited haha. It’s my calling! Can’t wait to hear more details on wedding plans! I love the post banners you’re making! Yessss! Photo dumps are the best! OMG I remember those cats!!! Y’all are so adorbs taking pictures of them! Oooooh! I haven’t shopped at Bath and Body Works in ages and love how they have the aloha theme going on! Whaaaaat, I need to go back! You’re so cool with the bullet journal!!!!! Ok, I actually bought an el cheapo grid one from Muji and I’m 3 pages in lolol. GREEN TEA IS SO GOOD! I love Haagen-Dazs! Nothing wrong with photo dumps! I like the consistency you kept with this post! Oh this is such a nice idea 🙂 I really like how the cats look so tiger\lion-like with their stares, they look angry haha. My March was slow and I had a little withdrawal from social media, which I really like because it always gave me time to truly unwind. Some mornings I woke up not knowing where I left my phone after-work the day before, which is a good thing! Mmm…green tea ice cream sounds so good! I’ll definitely have to try it! The kittens are so cute. first of all… omg the size of that lemon 😱!!! Also I’d like to say that I love the idea of a monthly photo dump because yes, not every picture makes it way online but every single one of it is so precious in its own way. I’m totally loving those shots! Too bad they didn’t make it to IG. Those Bath and Body work scents sound amazing! Love that notebook too. I love this idea for a post! I love all the photos. The photos of your cats are so cute. I love this photo dump idea, especially as a monthly thing! I sorta have a mini photo dump section on my round ups for memories, I always struggle with making them though because I always TAKE SO MANY LOL. Nice photos here!! Green tea ice cream though? I have to try this! Oh, I love this idea. i might start doing it myself. Love your random photos! It’s nice to see someone actually using a bullet journal. i always try to start one in the beginning of the year then just completely forget that I have one for the rest of the year. haha! Great post and lovely pictures! Your Bullet Journal page looks so pretty. These are beautiful pictures! I really liked looking through them. The cats were adorable (of course!) but the lighting and overall aesthetic of the photograph with the two bottles was really nice! That hedge is a fantastic photo prop! Good luck on wedding planning! I used to do this on my old blog as well! Ah, you make me want to start the series again, since I take pictures as a hobby. But anyway, your pictures are great! I kinda wish I can find that HD green tea ice cream here. Nice post! Your pictures are so pretty! I also never knew they did a Green Tea ice cream, and now I’m going to go on a hunt for it haha! I love this idea of photo dumps! I’d like to start doing more photo diary style posts of my weeks/months! Green tea ice cream sounds so delicious 😍 I’m not a massive ice cream lover but that would convert me! I love this idea, I have loads of photos like this and it seems a shame not to use them! I feel like March whizzed by, I can barely remember what I did throughout the month! I love your photo dump concept, I’ll definitely give it a go so I can look back and remember all the little moments. Your big lemon is amazing, I bet it would make such a yummy lemon drizzle cake! Never heard of green tea ice-cream though, will have to give it a try! I love these photos, it must be difficult to go through them all & pick ones to use for the blog or Instagram because they are all so good. I can never get tired of green tea ice cream hehe. I love the minimal journal design you got as well. I heard about bullet journaling probably last year and definitely would like to try it as well. currently planning a wedding too so I love this! I have a wedding planner book that has been helping me through the process! Love the photo dump! How random And fun!!! I think Inam going to give bullet journaling a try, or at least my version. I keep lists after list anyway, now to make them pretty! A photo dump is such a brilliant idea! I often have random photos at the end of the day that I’d love to share but am not really sure how! And how exciting to have created your wedding planning notebook – you’ll be able to make it so personal too! Loved this post! 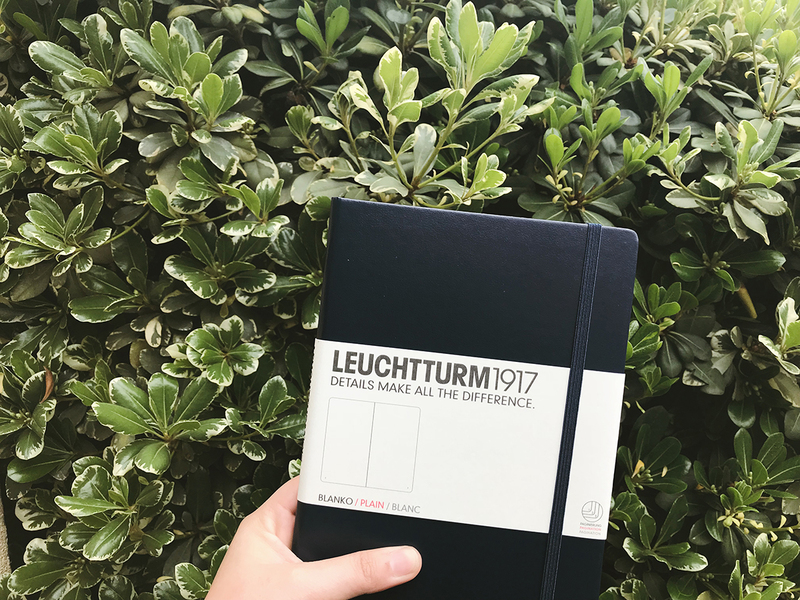 I bought a Leuchtturm1917 at the start of this year. It’s such a great journal to use! I love the concept behind monthly photo dumps! Such a fun way to incorporate some of your more personal photos into your blog! I absolutely love this idea! I have so many photos that just sit on my phone and never make it to insta or a blog post! This is such a good idea! There are always those photos that never make it into blog posts or on instagram and you’ve got to put them somewhere. Those cats in those two pictures are so cute!! Live this idea for a blog post! I think all your photos are great! Yes this is such a brilliant idea for a monthly roundup post!! Can’t beat a bit of ice cream can ya?! I really really love this idea! I might have to steal it 😉 love the chance to get to know you better through the unpublished photos. I like journaling. I am not consistent like I should be but I am working on it!!!! Loved this post! What a great idea for a post! All those “extra” photos from during the month… great idea! Loving the idea of this post! Green tea ice cream?! I’ve never heard of that in my life but I love the scent of green tea. Those kitties are super cute and I’d love to indulge myself in some Bath and Body Works products when I eventually make it to the US! I hope you show off some of your bullet journal/wedding planning!!! How exciting!!! I recently fell in love with Bath and Body work candles!! They have so many lovely scents!! I love new notebooks, too! And wedding planning is exciting, congratulations! I also wanted to share that I love the photo dump idea and your photos. Thanks for sharing! The kittens are adorable! Are the bath and body works products lotions? or perfumes? They sound like they smell amazing, and I really want to get my hands on them now lol! 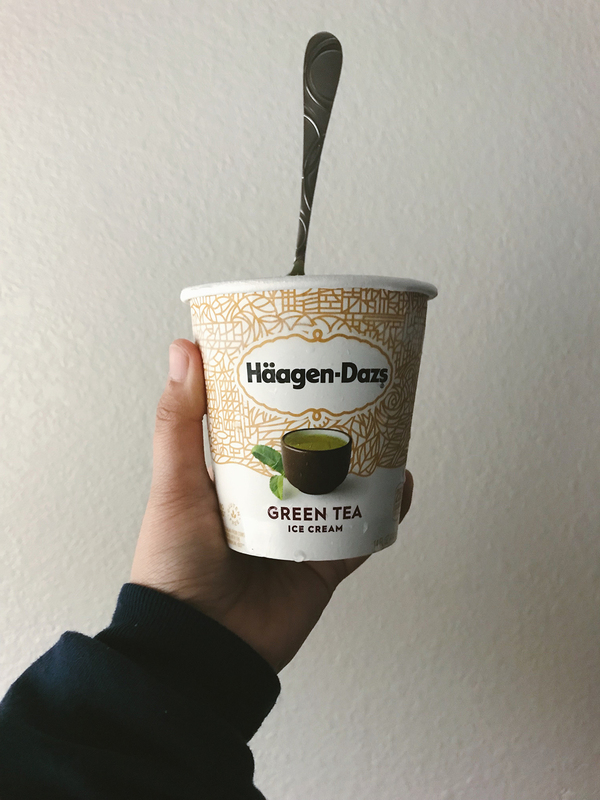 I’m a sucker for anything matcha, unfortunately I haven’t seen a matcha ice cream in a tub like this one from Haagen- Dazs. This is a nice way to compile and post your unpublished random snaps. Wait… that’s a lemon!! Whoa, wouldn’t have guessed it if you had not mentioned it here! Btw the photo dump idea is just simply amazing, helps with saving space for someone who takes a lot of pictures! That sunset picture was so beautiful! Love the idea of a photo dump! Might just do something like this as I have so many photos just rotting in my gallery haha. I love stocking up on my things too especially if it’s on sale! I usually (ask my aunt to) hoard Bath and Body items from america too from their sales! Hehe. I love this photo dump idea, and these photos are amazing! I seriously want to try that green tea ice cream! Your handwriting is so neat! And this is such a cute idea! This is such a cute idea for a post – it’s so great to have a little insight into the highlights of your month through photos!! Enjoy the journalling – I’m so similar and love it whenever I get a new notebook!! I love photo dumps, I think they’re such a fun way to get a behind the scenes look at how people spend their time. Those two kitties are so cute! Ooh I love the idea of a photo dump! Those cats were cute! And I started a bullet journal then gave up very very quickly haha.